I love studying the weather and I think that some clouds are incredibly photogenic. 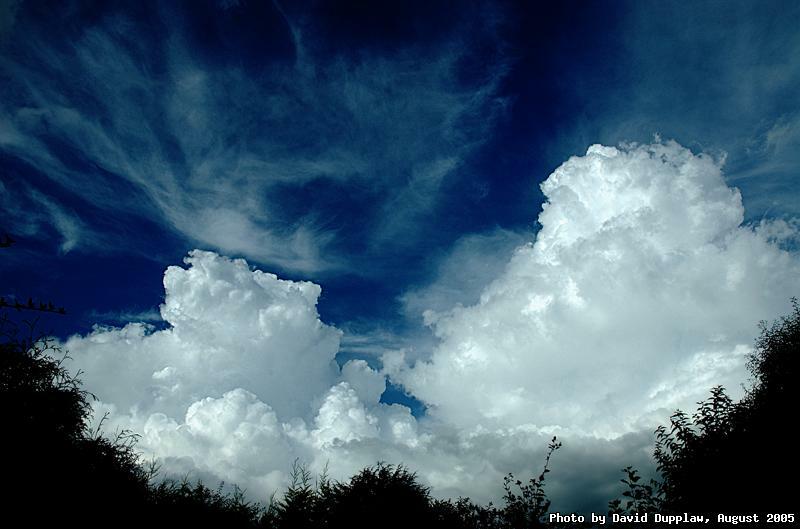 Blue skies and cumulus clouds are particularly photogenic, and that is what we had lots of in August this year. Here you can see two updrafts, the one on the right stronger, but being sapped by the one on the left. The sky was naturally blue, although the curves are tweaked in Bibble somewhat to make it dark and deep. I used a mask to sharpen the clouds without getting a nasty glow around the foreground foliage.